This article is sponsored by Visit Tucson. It does not reflect the work or opinions of NBC BAY AREA's editorial staff. To learn more about Tucson, click here. The secret is out: Tucson is America’s most exciting food destination. But while the charming, southwestern city’s rise to the top of every foodie’s must-visit list might feel meteoric, it’s actually a culinary moment thousands of years in the making. That’s because Southern Arizona is blessed with 4,000 years of culinary heritage. Deeply rooted in the surrounding Sonoran Desert, it’s a rich heritage that still influences the over 400 restaurants dotting town today. You’ll find everything from farmers and ranchers raising grass-fed beef and beekeepers producing local honey, to inventive chefs, mixologists and brewers using indigenous ingredients like hiltepins, cholla buds, prickly pear syrup, mesquite flour, tepary beans, and White Sonoran wheat in their striking concoctions. 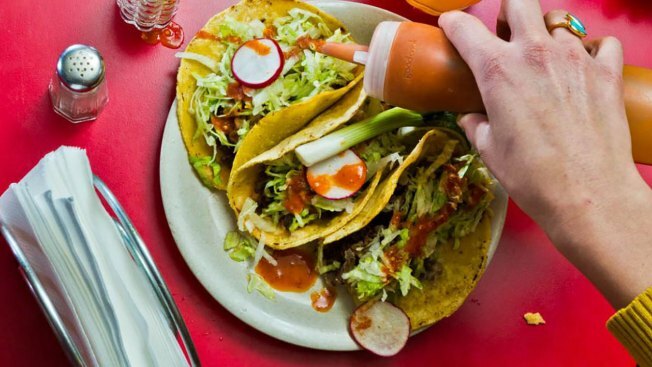 Add distinct Native and Mexican traditions – you’ll find the largest concentration of Mexican eateries north of the boarder right here – and it’s no surprise why Tucson has been designated as the only UNESCO Creative City of Gastronomy in the United States. It’s also a charming and laidback locale ideally situated in one of America’s most stunning landscapes. Home to five mountain ranges, most of which are on protected parkland, Tucson is brimming with outdoor adventure options. Embark on everything from breathtaking hikes to Tour-de-France worthy cycling, meaning you’ll have plenty of opportunities to burn off all those calories you consumed over memorable meals. Ready to book a trip? Here are our favorite places to eat, drink, hike and ride (though probably not in that order) the next time you’re in town. For an unforgettable meal, we’d be remiss if we didn’t send you to Downtown Kitchen + Cocktails. The brainchild of James Beard Award-winning chef Janos Wilder, DTK+C features a fusion of French culinary methods with locally raised meats, and herbs and vegetables plucked from local gardens. Start with a crab, cucumber and honeydew gazpacho, and then move onto the date-stuffed quail, which comes with bread pudding on babaganoush. Fresh, local ingredients and innovative New American cuisine are the standard at The Grill at Hacienda del Sol. Their own organic gardens are evidence of their commitment to cultivating relationships with local purveyors and growers, and their mission of culinary excellence. For breakfast, try the smoked salmon with pico de gallo, or huevos rancheros served with house-made tortillas. In the Mercado San Agustín, you’ll find none other than Chef Ryan Clark’s Agustín Kitchen, known for its daily cavatelli special, created using local ingredients like cilantro pesto sauce, beans, and butternut squash. Agustín Kitchen’s ingredients come from more than a dozen southern-Arizona farmers and artisans for this farm-to-table experience. Looking to quaff hyper local craft beers? Swing by Tap + Bottle’s downtown location for everything from floral IPAs to dark and roasty stouts. Or check out Noble Hops on the northwest side in Oro Valley, a gastropub where you can grab a crisp pilsner on the back porch and pair it with a charcuterie board and mountain views. Cocktails go down just as smoothly at Hamilton Distillers, where you can go for a tour and sample mesquite-smoked Whiskey del Bac. In fact, cocktail culture abounds around town, with mixologists slinging creative concoctions at downtown spots like Scott & Co and Club Congress. Interested in the progressive side of this culinary destination? Pasco Kitchen & Cocktails sources ingredients from its own “urban farm” for a comfort menu that is as tasty and fresh as it is healthy. Enjoy everything from quinoa market salads to grass-fed and pasture-raised beef burgers. Or go the more indulgent route by combining cocktails and fried chicken at perhaps the hottest spot in town – Bird Modern Provisions & Bar. Chicken and waffles are a must (as are the deviled eggs), and be sure to order up at least one round of pitch perfect Sazeracs. From food trucks to date-night spots slinging the best plate of carne asada tacos you’ve ever had, Tucson is uniquely blessed with a staggering variety of Mexican restaurants. In fact, there’s 23 miles of Mexican food in this vibrant border town, making it de rigueur for any mole enthusiast. El Charro Café is the United States’ oldest family-owned Mexican restaurant and the birthplace of the chimichanga. Founded in 1922, this atmospheric, road house-style eatery serves up traditional northern Mexican-Sonoran fused with modern Tucson-style Mexican — queso, chilaquiles, grass-fed beef tacos — plus vegan tacos and enchiladas. Inventive fusion dishes abound at Tucson Tamale Company, where tradition meets international flavor in more than 25 types of tamales. Try the Indian-inspired New Delhi with coconut milk and yellow curry, or the breakfast-inspired Sunrise Tamale with sausage, potato and cheese. El Gorrión is the place to go if you want tasty food-truck-style fare. With two food trucks and one restaurant location in the southside district of Tucson, El Gorrión has classic Mexican dishes, like tacos, tostadas, chiles rellenos, seafood, and daily drink specials. Featured on The Food Network’s Throwdown! with Bobby Flay, family-owned Teresa’s Mosaic Café is known for its authentic Oaxacan and Sonoran recipes. The extensive menu – handmade tortillas, classic enchiladas, beef flautas – will satiate any Mexican food fan, but we recommend the tostadas (order the Machaca and thank us later). At 26 miles, the paved climb up Mt. Lemmon – the tallest peak in the Catalina Mountains – is three times longer than the Tour de France’s legendary Alpe d’Huez. You’ll push yourself cycling up the sweeping bends of this beautiful road, which offers breathtaking views of the valley below. Here in the offseason? Expect a dusting of snow the higher you get, as well as some of the world’s top professional cyclists, who make Arizona their winter base. But you don’t need to set out on an all-day excursion to enjoy the outdoors. Located just 30 minutes from downtown Tucson, the Seven Falls trailhead leads to a moderate, half-day hike that rewards you with – yes – seven majestic falls spilling through the otherworldly landscape of the American Southwest. Fantasy Island Mountain Bike Park is studded with quirky, secret treasures (old cars, furniture, bikes, toys, and more) along its 19-mile, one-way single-track trail. Catch Fantasy Island at its most beautiful in the late winter and early spring when the wildflowers are in bloom. Don’t forget your permit to hike here, as this park is on State trust land. Tucson is home not only to stunning natural vistas, but to some great urban trails as well. The Tucson Urban Loop, lovingly called “The Loop,” is a project that will, when completed, connect 131 miles of trail around Tucson and be open to foot traffic, bicycles, skates, and even horses. On The Loop, you can check out the Santa Cruz River Park Trail and Rillito River Park, which is friendly for dog owners too! Rillito River Park is fully paved and has many restrooms and water fountains along the trail. Avoid the heat by going early in the morning or around sunset. Southern Arizona and its 4,000 years of culinary history are waiting for you. And it all starts now. 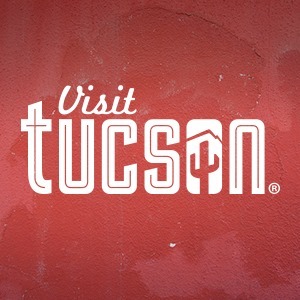 To start planning your trip to Tucson, visit www.visittucson.org.